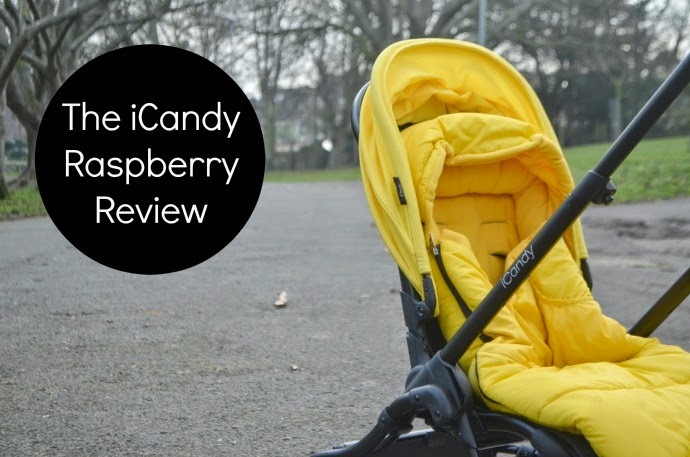 I first saw the iCandy Raspberry at the Babyshow nearly a year ago and fell in love. 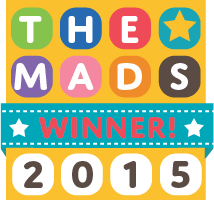 It offered the features I loved about strollers, but with the style and options you associate with a travel system. 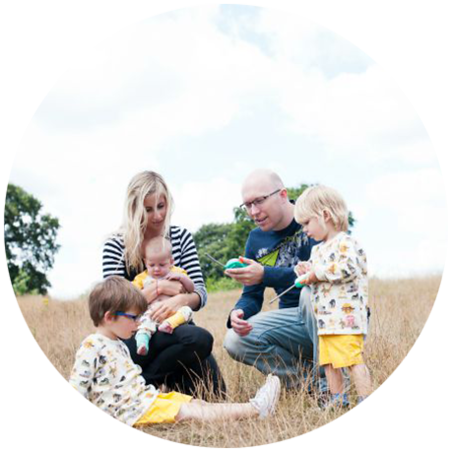 It comes in such a variety of colours that when I was offered one to review I struggled, but the black chassis and yellow colour pack was perfect for our bright family. 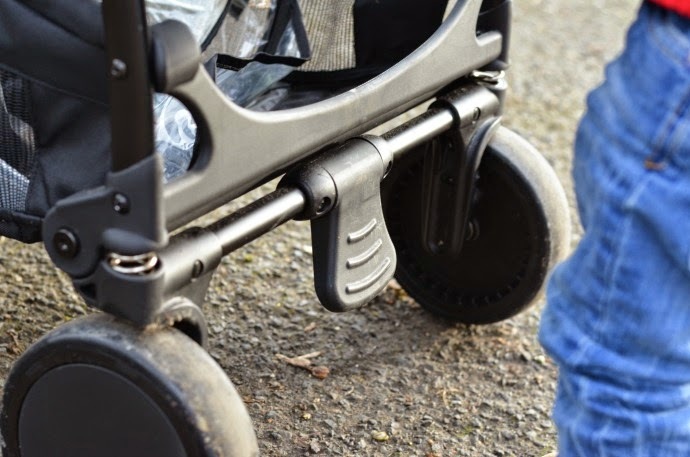 We have been testing this pushchair now for a few months, and on the whole, I love it. It looks stunning in my opinion, the black chassis is strong and doesn't scratch and the icandy logo is etched in so that it can't rub off as it does on some pushchairs. The yellow is bright and cheers up even the coldest of days and despite plenty of use, it still looks immaculate. 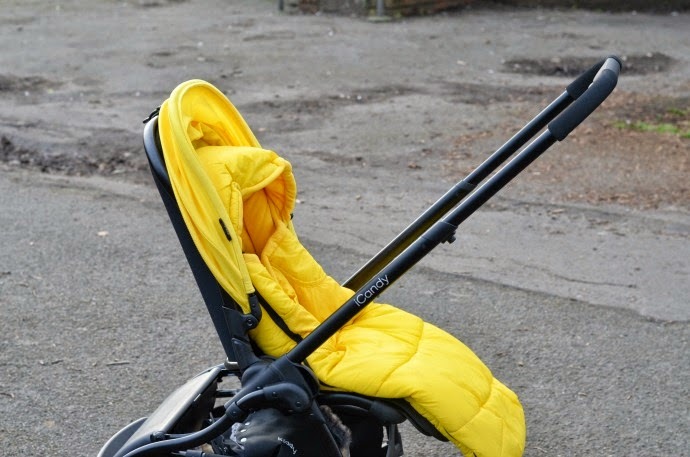 The fabric of the hood is different to any other buggy I have come across, including other iCandy pushchairs, and stays remarkably clean. Archie has wiped sticky fingers on it many a time, and a baby wipe has left it clean and fresh easily every time. I have also found the hood to be perfect in sunshine as it is on the larger side and provides plenty of cover. Due to the material being so light, Archie is able to pull it on and off himself, but giving him the control has made him very happy. Being 5 foot 9, I like an extendable handlebar, and the raspberry is great for different heights. The handlebar can be tucked in quite well but also extends far enough to make it very comfortable for the taller parent. The recline is easy and can be done one handed, using a simple device on the top of the seat. 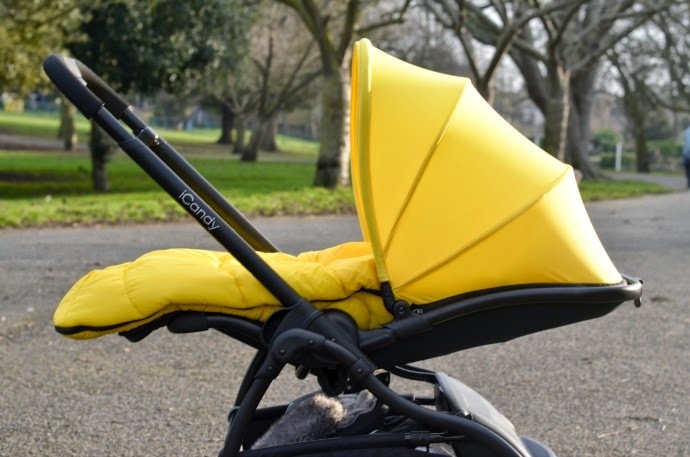 The seat can be partially reclined but also lies completely flat so it is suitable for a newborn. Due to the stroller-side of the raspberry, the seat isn't very protected for a newborn, but you can buy an additional cocoon to make it more snug. Archie loves being able to lie completely flat when he wants a snooze rather than the usual bucket seat as he can stretch out first. The basket on the Raspberry is far superior to any other stroller, and easily fits in everything we need for a day out. 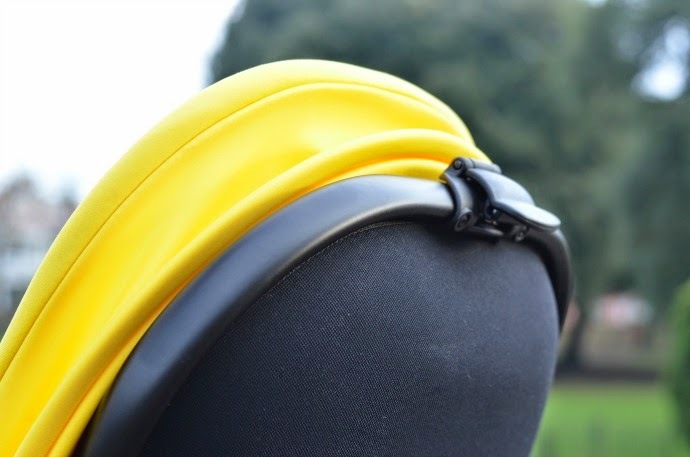 It is easy to access from the front or back and has a handy hard storage pocket which means you can place more valuable items under the buggy without them being visible, or store the raincover if it has been raining without making everything else in the basket wet. This hard pocket can be accessed even when the buggy is folded. 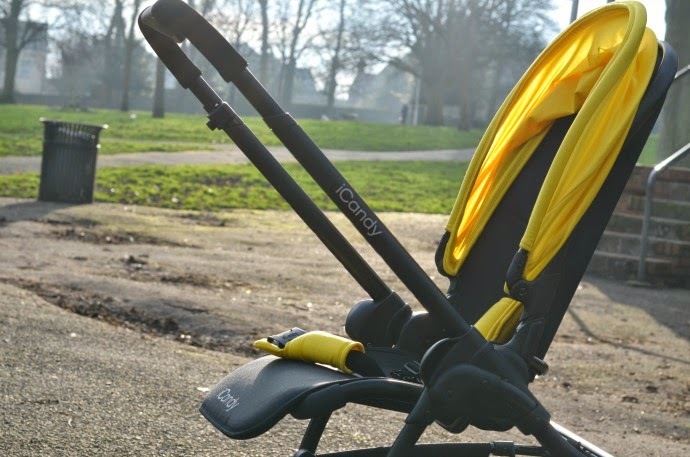 The buggy is an incredibly compact fold, and folds into one piece even with the seat attached. The seat folds in half meaning it doesn't take up much space and this buggy is so light I have had no trouble carrying it up stairs one handed whilst holding a toddler. It doesn't clip into place like some buggies do when it is collapsed, but I found that way I naturally hold it, it doesn't come open either. It is freestanding when folded which is ideal for storage too. We have used the Raspberry on buses and trains and folded it easily, and haven't had any problems using it in car boots either. 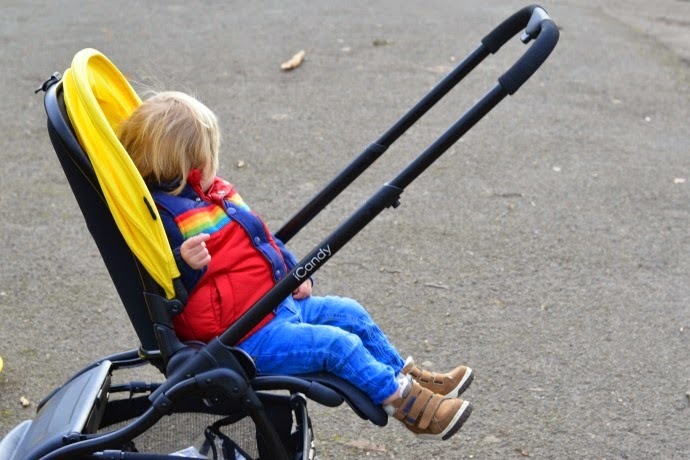 I have found the seat to be very low - more on par with a stroller than a pushchair, which took some getting used to as I don't use strollers often but it had benefits too as Archie was able to climb in himself which makes life much easier! I have also found that sometimes the front wheels seem to vibrate slightly, which is more obvious when I am walking fast. 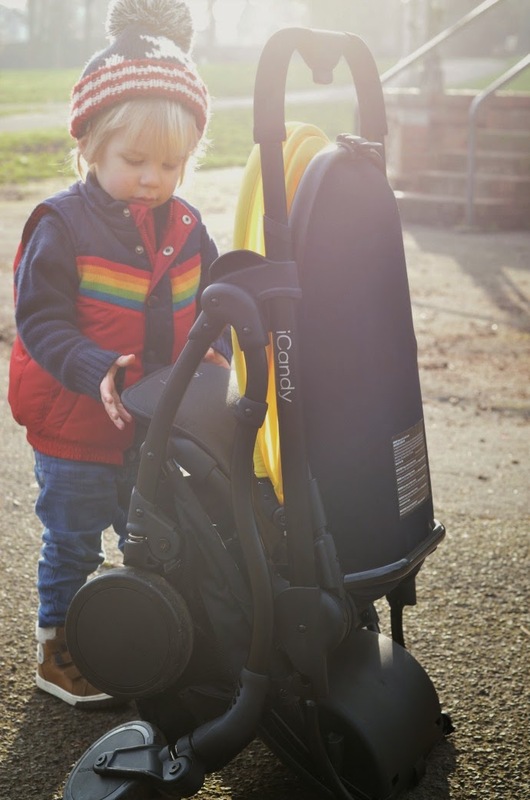 The Raspberry is designed to be an urban stroller and I have been using it on different grounds but generally it handles them well. When the front wheels do go a bit funny, they seem to be back to normal as soon as I slow down. I find it more noticeable when Archie is sat upright and facing me so it may be to do with the balance of weight. Size wise, the seat is perfect for us and Archie still has growing room. He is a tall nearly-2 year old and so still has a few months left of using the buggy but I am confident it will last for him. I have been wondering about the harness though as I have had trouble extending it fully but at the moment it just about does up around him even with a big puffy coat on. The footmuff is gorgeous, thick, snug and comes with a built in handmuff for little monkeys like mine who like to pull their gloves straight off. The outside is water resistant and the inside fleecy. At the moment it fits Archie but his feet are right in the bottom so I would say it is only suitable to around a second birthday unless you have a shorter child. I know Pretzel will be very snug in there next winter though and it feels like an amazing quality footmuff. 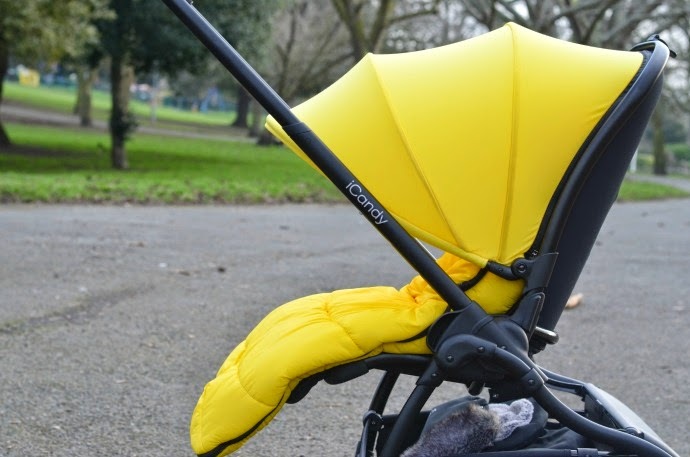 The non-slip back helps keep it in place and it can be made even more snug around a smaller child. The brake is simple to use, light enough that it doesn't need much pressure and won't hurt your feet to take it off even in flipflops, and central along the bottom bar. It feels very secure when in place. I love the feel of this pushchair, I love the shape and style and how easy it fits into our life. 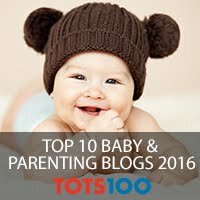 It is an ideal alternative to a stroller for me as I prefer to have the boys facing me, even at 2 years old. It is more expensive than a traditional stroller, but I think the price reflects the options and advantages that this has over a stroller. 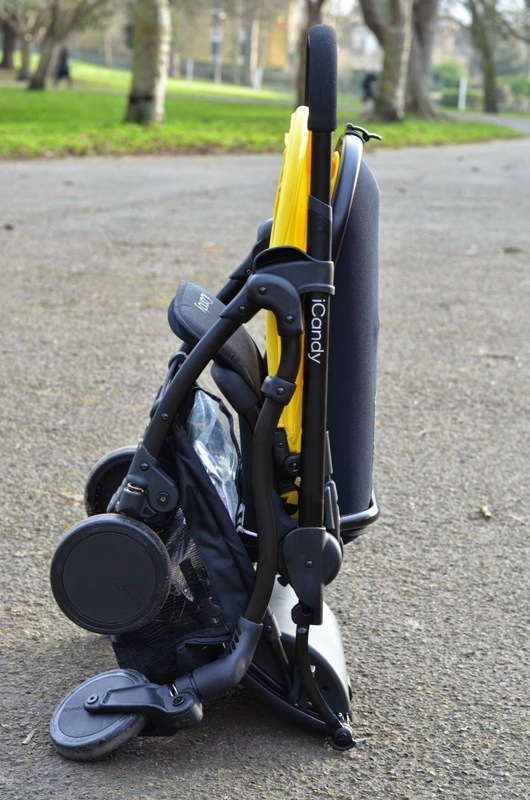 I love that it is suitable from newborn, (although I do prefer a carrycot for a baby to start with) as it makes it a pushchair that grows with your child. 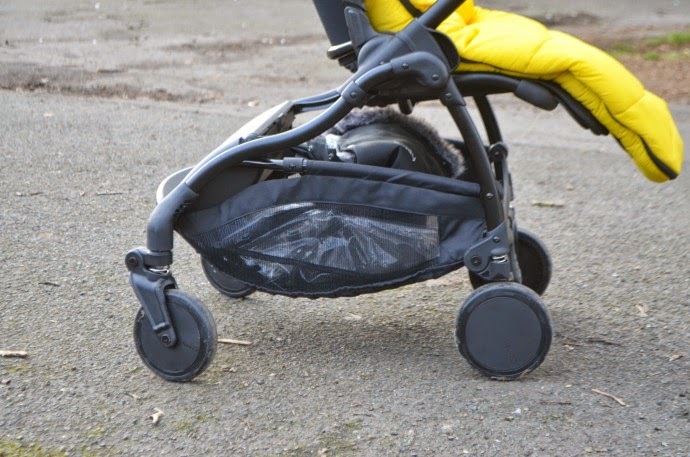 Despite the black chassis and yellow colour pack, this pushchair isn't showing signs of wear at all other than the tyres (you can see in the pictures that this buggy has been on plenty of adventures with us). Sounds great I love the bright colour looks lovely! Wow! I love the look of this. It's so pretty and folds up well. It's great that there are many more parent-facing pushchairs on the market these days. I've pretty much just used slings when mine are babies but I've put Ophelia in a buggy a few times recently and she seems to like it so I may start shopping around. Thanks for the review.